SAINT JOHNS, Mich.—Dogs from Environmental Canine Services visited the Upper Maple River watershed on August 24 and 25 to determine whether human sewage was present in streams connected to the Maple River in Clinton, Gratiot and Shiawassee Counties. And the results are in—using their highly sensitive noses, the dogs alerted to the presence of human sewage in 39 out of 49 (79 percent) samples collected. Crush, a 7-year-old Jack Russell terrier-Australian Cattle mix, alerts his handler of the presence of human waste by laying down next to the sample. ​The Clinton CD continues work in the Upper Maple River Watershed (UMRW) using funds provided by 319 DEQ grants, for which they continue to solicit funding for implementation. 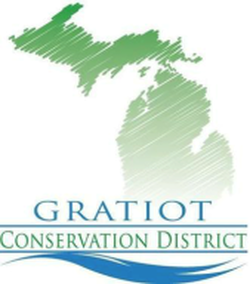 All employees at the Gratiot CD are involved in technical capacities and advisory, as the Upper Maple River Watershed extends into Gratiot County covering almost a third of the county. Read up on all blog posts about the Maple River!